For me, a cluttered and chaotic space equates to the same for my day. Don’t get me wrong, I have a junk drawer (and a junk counter!) in my command central area. But being organized in many aspects of my home frees my attention for more important matters of the day. The following valuable information comes from Bonnie Joy Dewkett, Certified Professional Organizer®. I am grateful for the opportunity to partner with her to share her expertise and tips with you. She’s good, she’s really good…Now get your de-clutter on! Kids have lots of clothes. While they are tiny, that doesn’t make them any easier to organize! 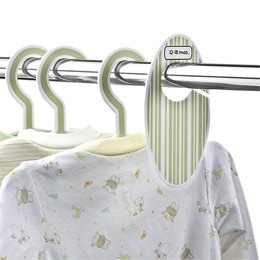 Since kids grow so quickly, you need lots of clothes in lots of sizes. Add in clothes for the change of seasons, hand me downs and saving clothes for your next child, and you may soon be overrun with adorable outfits! 1. Pick a time to sort. If you don’t put it on your schedule, you will never find the time. Some people like to have kids around to help. Others, prefer to get a babysitter so they can organize in quiet. 2. Have piles set up. I love using large Ikea bags to sort. Toss, donate, sell and keep or store for a younger child are common groupings. 4. Use drawer dividers. 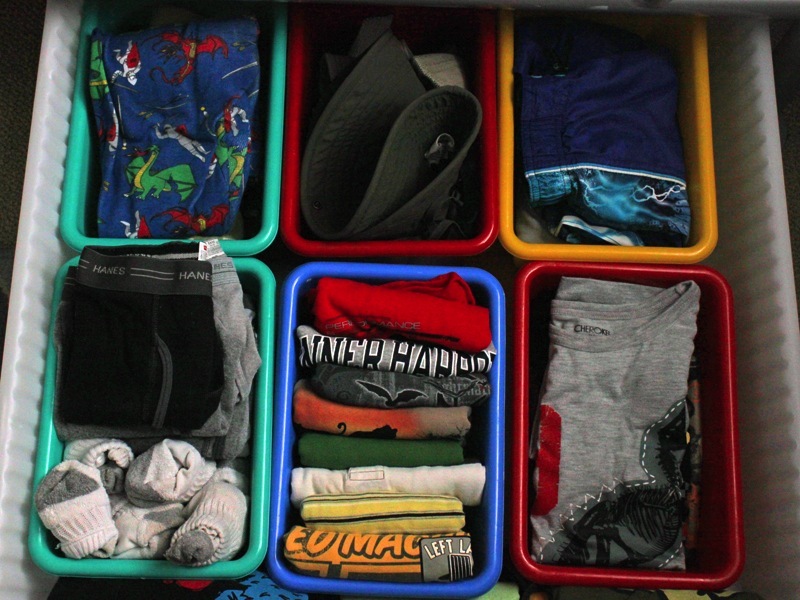 Kids’ clothes are tiny and if you simply fold and put them in drawers, you are going to lose items and overwhelm the space. 7. If you are going to move the items out of the bedroom or closet, I suggest storing them in small plastic shoe boxes. This way, you can easily see what is inside and create groupings of like items. I suggest rolling the clothes or folding and then storing vertically. 8. 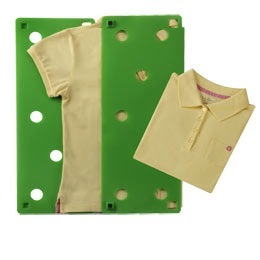 One of the most important things to remember about kids’ clothing is that you will have more than you need. Donate what you don’t love or your child isn’t comfortable in. You can visit Bonnie’s blog at http://thejoyfulorganizer.com/blog/ for more tips and helpful ideas and advice to organize your home and office. I especially love the recent post on coffee and tea organization! Bonnie Joy Dewkett, CPO® is a nationally recognized organizing expert, author, motivational speaker, and internet radio personality. She began organizing as a child, and she has been organizing ever since. 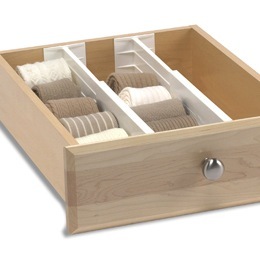 Her company, The Joyful Organizer®, creates and implements organizational systems for the home and office. These changes allow her Customers to create calm from chaos at work and at home. Bonnie is passionate about helping her clients meet their organizational goals, and loves to see the positive impact that getting organized has on their lives. Bonnie offers coaching and organizing to clients around the country. Email bonnie@Thejoyfulorganizer.com for a free consultation. Taking a photo of a favorite article of clothing, love that idea! Dividers for those tiny hair bows, itty-bitty socks and all that other stuff… and those little peeps have stuff!